It’s good to know they are helpful to someone who is well on the way too. The shed is going to wait until next summer as there is no way I’ll do it before the weather turns fully. I have removed a couple of things (when I’ve been trying to get to other stuff) like two extra pairs of Wellington boots…I only have two feet after all! Community is really important to keep me inspired and on track! I love the tips especially that this is what I am doing right now, tackle smaller bits so I don’t get overwhelmed or feel defeated before I even start. And I would definitely recommend building your community! Everyone needs a tribe. Taking small steps is a good start! It really is. Today I recycled 9 wine and beer bottles I’d been using as candle holders. The layer of dust suggests I had not used them in a while! Great tips – start with the end in mind, love it! 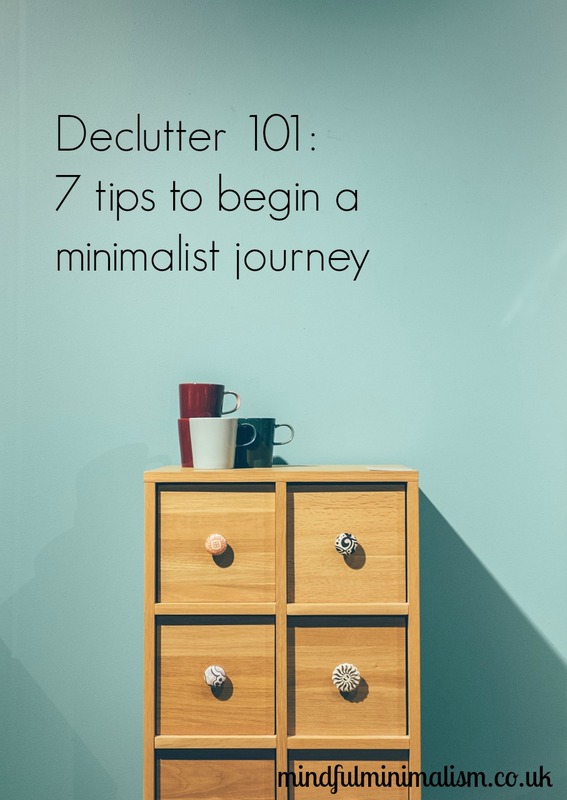 I like the idea of being a minimalist and reducing clutter in our life. I have been on a mission to declutter my life materially and electronically.